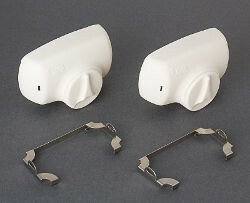 Replacement articulated foot and bolt for Fiamma Carry Bikes for VW Transporter T4 with single tailgate and Renault Trafic D Double rear door. Articulated foot to fit Fiamma Carry Bikes On VW Transporter T5 van. 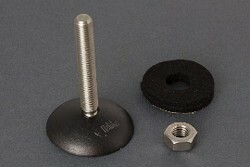 Includes screw in rubber foot, adjuster nut and foam foot base pad. 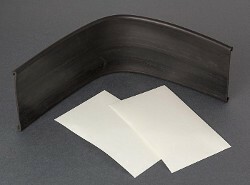 Plastic hand wheel used to tighten Carry Bike frames. 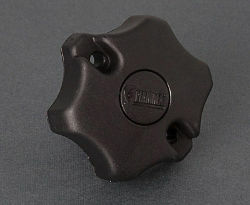 Black plastic housing contains captive M4 nut. 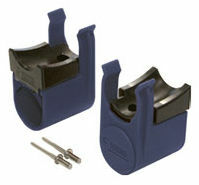 Pair of replacement rubber shock absorbers complete with end caps for lower rail carrier on Fiamma Pro range of Carry Bikes. 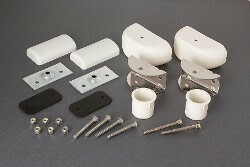 Replacement wall support bar and fixing brackets for Fiamma Carry Bike Garage Standard. 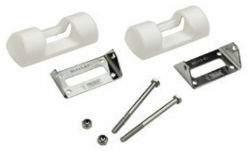 Pair of brackets to fix the frame of Fiamma Ladder Dj Ducato and DJ Ducato H3 to horizontal door bars. 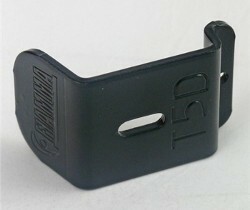 Also fits a number of versions of Fiamma Carry Bike DJ. 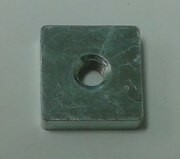 Square M6 nut from Carry Bike 200 DJ fixing bar. 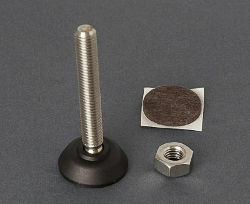 Nut measures 19mm x 19mm x 6mm deep with M6 threaded hole in centre. 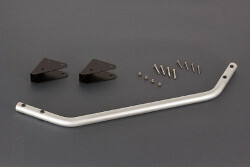 A pair of upper fixing brackets for the Fiamma Carry Bike Pro Hymer. 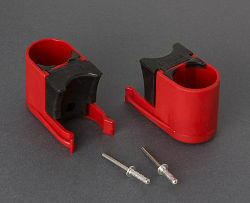 Pair of plastic covers for the lower fixing bracket on many Fiamma Carry Bikes.